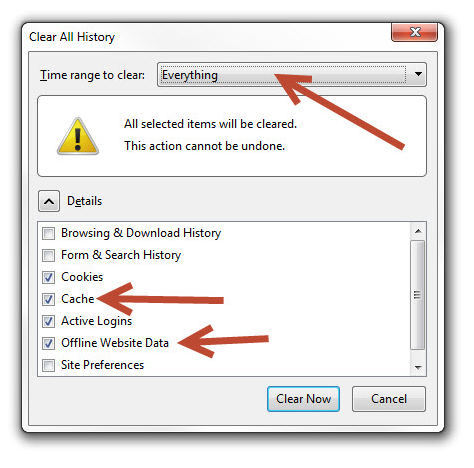 To clear your cache in the popular browsers (Chrome, Firefox or Internet Explorer) on a computer, there's an easy shortcut. 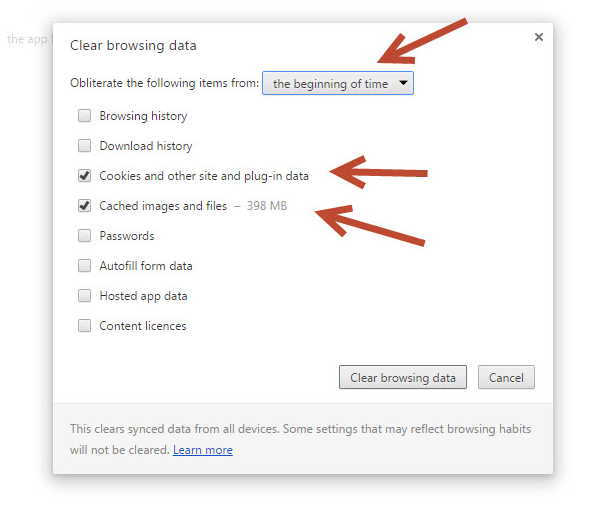 Make sure these two checkboxes are selected, and the time range is the beginning of time. Then press Clear browsing data. 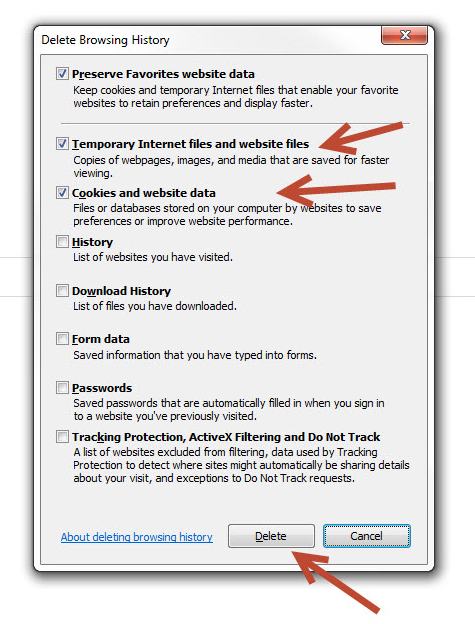 We recommend you don't use Internet Explorer, but if you must, make sure these two checkboxes are selected and press Delete. Now when you go to khmath.com, you'll need to login again and you'll get the latest files.